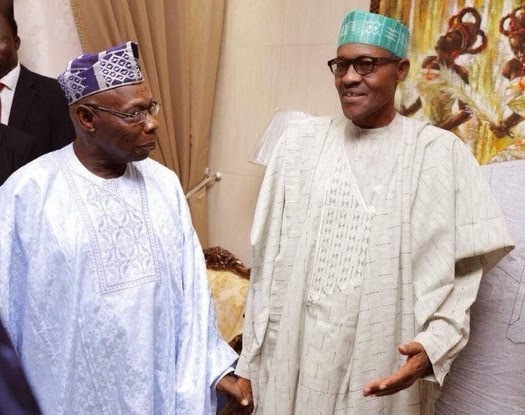 The President-elect, Muhammadu Buhari and ex-President Olusegun Obasanjo on Tuesday held a meeting in Lagos. The high level meeting which held at the Presidential wing of the Murtala Muhammed Airport, lasted for almost an hour. The meeting was the first the two leaders would have since Buhari was declared winner of the presidential poll on April 1. A member of the President-elect’s entourage said, “Gen. 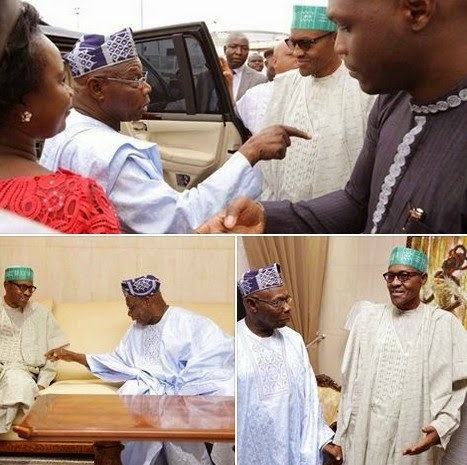 Buhari and former President Obasanjo were in the inner lounge of the presidential wing of the airport where they held a secret meeting for almost an hour. It was learnt that Buhari and other All Progressives Congress leaders had come to Lagos for a thank you visit and to campaign for the party’s governorship candidate, Mr. Akinwunmi Ambode, but had a meeting with Obasanjo before setting out to campaign in the Orile area of the state. Meanwhile, the Northern Christian Leaders Eagle Eyes Forum, has said the group was not surprised that Buhari won the poll. The group had before the election endorsed Buhari to the consternation of the Christian Association of Nigeria led by Pastor Ayo Oritsejafor. CAN leadership had rejected and distanced itself from the endorsement of Buhari but all that has changed.